Happy Friday everyone! I thought I would share a fun colorful card today. Here is a close up of the cupcake. 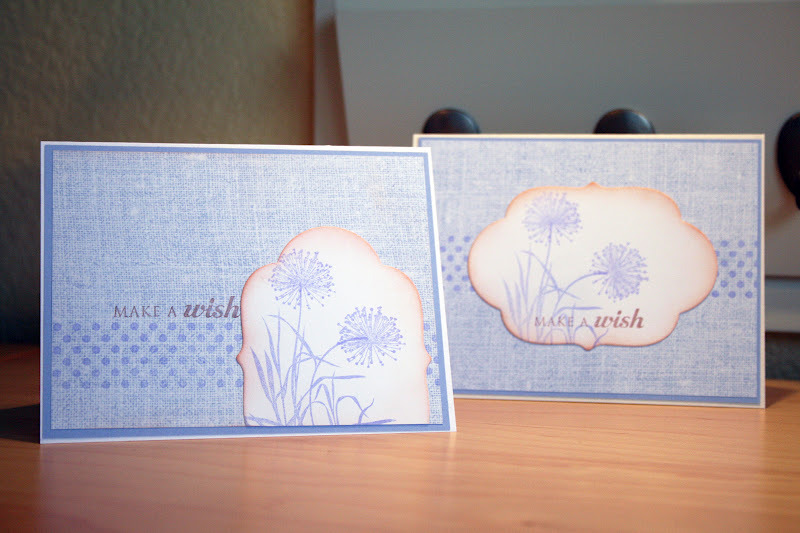 Today I have a card set I made trying to use up some scraps. I set out to make three of the same card. But the scrap of off white I used to cut out the mat was too small to cut three, so instead I cut out two and then as much of the mat as I could for the third and changed the design a bit. I think in the end I like that card the best. Sometimes I need something like that to push me into something I wouldn't have tried. Here are two of the three. I was having a hard time getting all three in the photo. But I'm sure you get the idea. Here is the original idea. 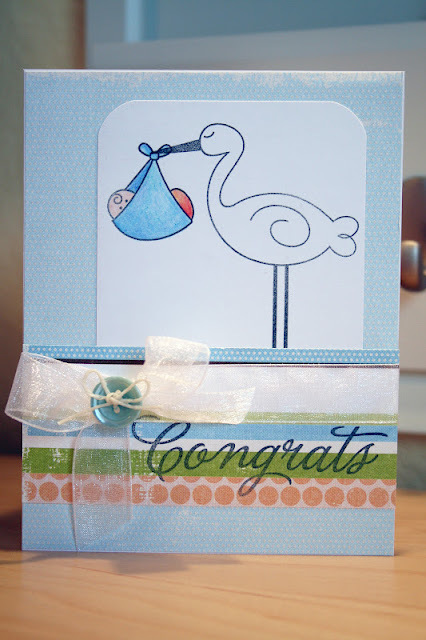 Today I have a baby boy card to share. It seems that everyone is having little boys so you might see a few of these in the next few months. Truth be told, I find this Papertrey Ink's Bundle of Love set a bit tricky to work with. 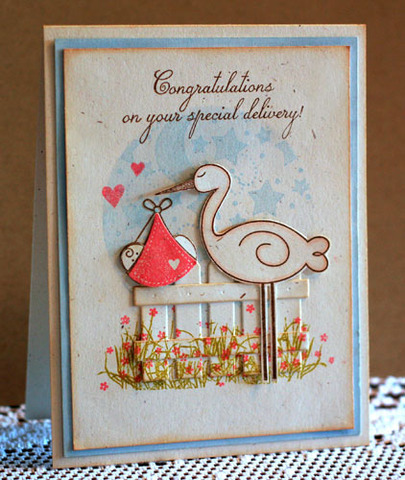 Lets just say I stamped the stork with baby image a couple of times with different blankets and didn't really like the look. In the end I colored it using colored pencils. Today I'm back with a Mistletoe Monday post. If you are new to the blog or have forgotten since it has been a while since I did one, let me explain. 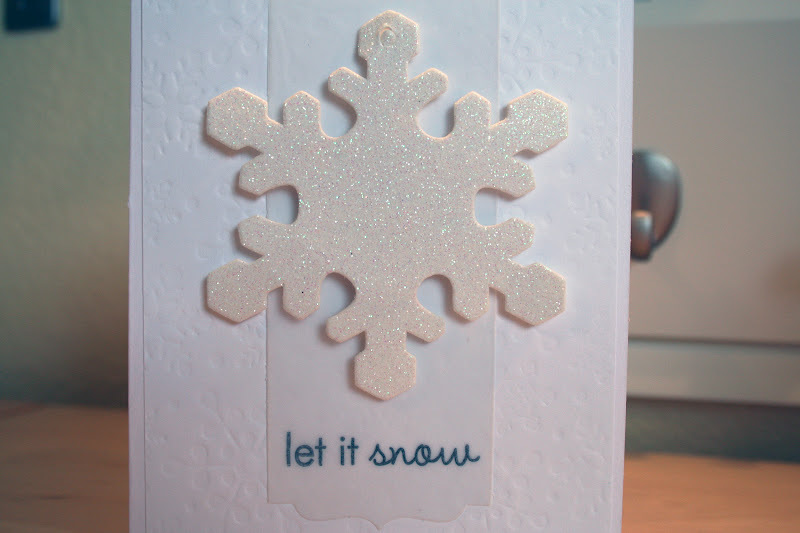 I try to make a Christmas card or Christmas item every week to prepare for the holiday craft fair season and post it on Monday which I have dubbed Mistletoe Monday, which I think is way better than Crap, I hate Monday's (which I kinda how I feel, but moving on). I figured if I do it year round there won't be a rush in October, best laid plans anyways. Today's card makes me so happy because I used the store bought tag (Target) that were on our Christmas gifts last year. I love that I was able to get two uses out of it. 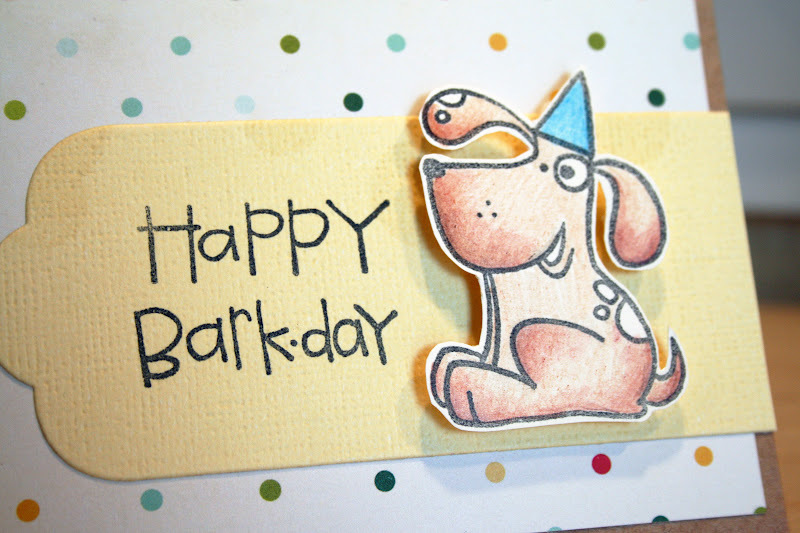 I also did the same thing on this card from last year. 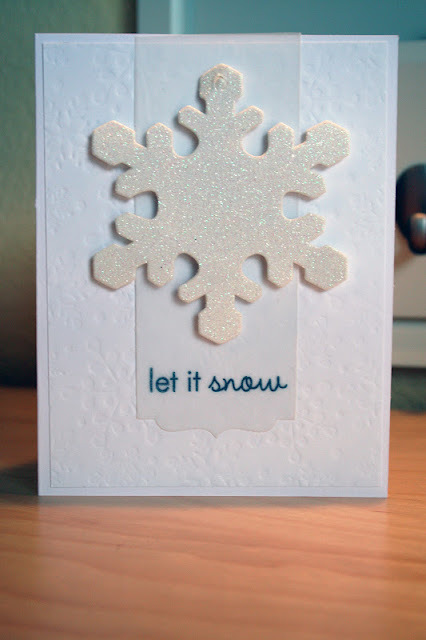 I felt like making some Christmas cards after seeing all the inspiration in the wonderful Christmas in July posts out there in blogland. 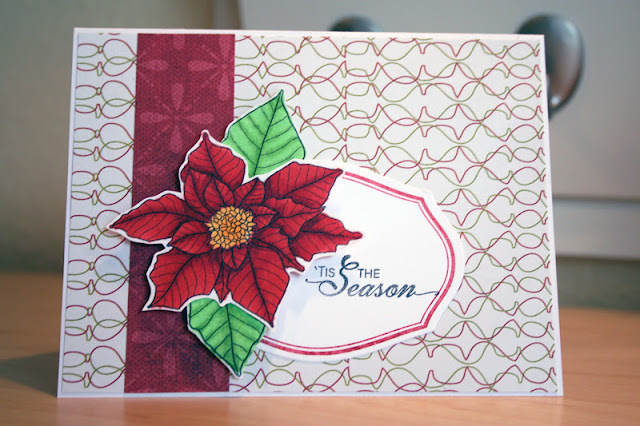 Today I have a card that you could say has been in the works since November of last year because that was when I colored and cut out the Poinsettia. It has been hanging out on my desk just waiting for the perfect card. Well I finally found it. 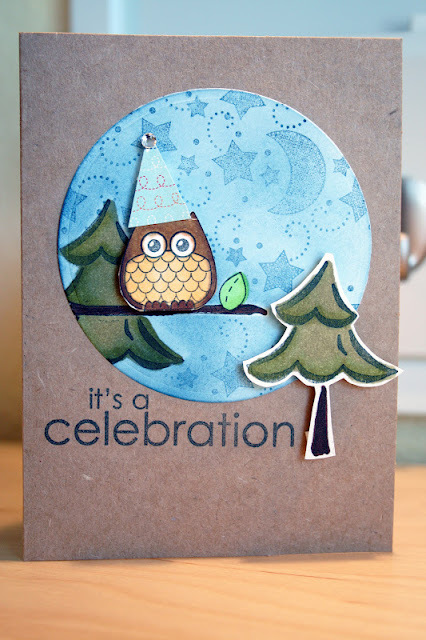 Today I'm playing along with the Case Study challenge blog. They announced that this months muse is Kristii Lockart. I have been following Kristii and her amazing talent for well over a year, so I took this opportunity to play along. 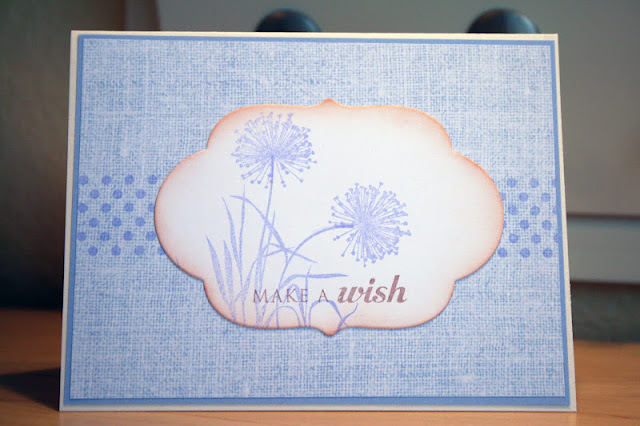 The first card they chose I remember when I first saw it on her blog and was amazed. I still don't know how she was able to do the grass on the fence and match up it up with the grass she stamped on the card. So here is my card that was inspired by the card above. 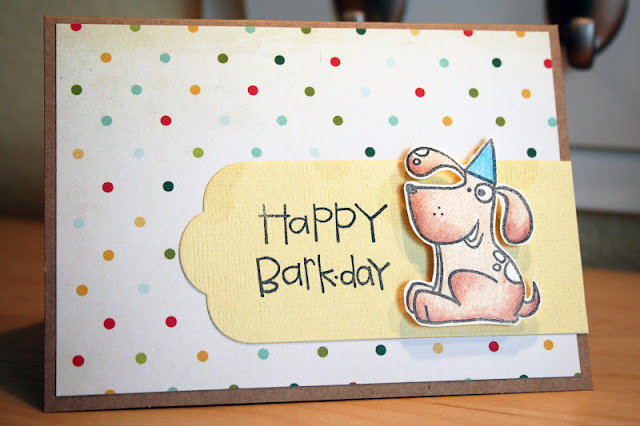 Today I have a quick Birthday card I made using some scraps on my desk. 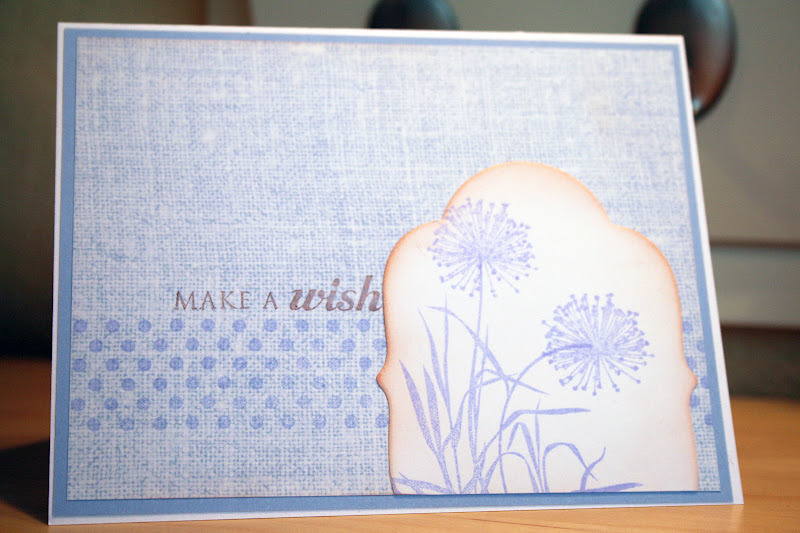 My desk scraps could make another ten cards but I digress. 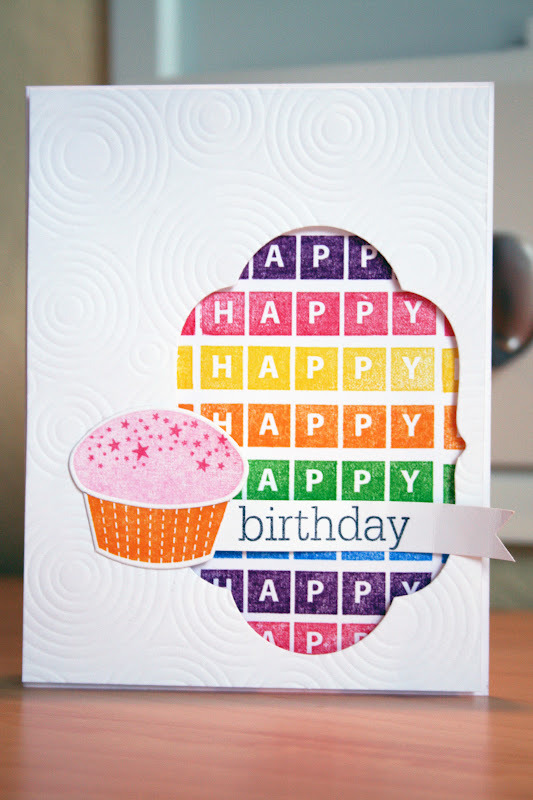 Since my boys are always going to birthday parties, I am always in need of birthday cards for kids. 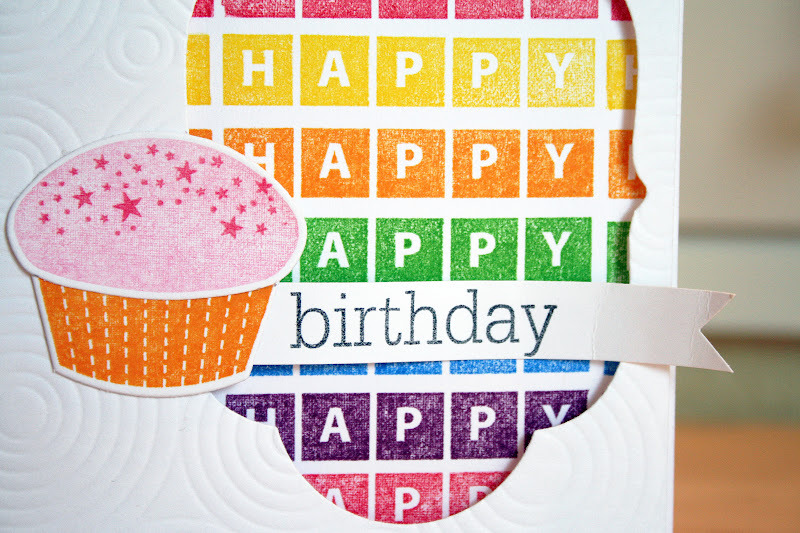 I think this Paper Smooches set Birthday Buddies makes it super easy to made birthday cards for boys or girls. For this cute little party dog I colored him using colored pencils and cut him out so I could pop him up off the card (I could not live with out pop dots). Here is a close up of him. Today I am bringing back my one layer Wednesday posts. Last month I needed a wedding card and I had writers stamper block and for the life of me had the hardest time making it, stumped for weeks. And then once I struggled through that card and now that I no longer need one I had no trouble making one. Go figure. 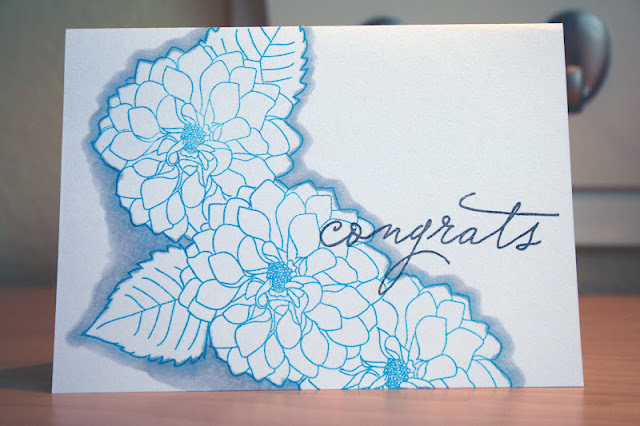 So here is a card I think would work beautifully for a wedding and it happens to be one layer.